Re-designing a website may seem like a great idea, who wouldn’t want a nicely designed new website that’s SEO friendly and meets current web standard. But you have to be careful, a re-design means messing with the structure of your website, it’s important to make sure you don’t destroy all the important SEO value Google and the other search engines have applied to your site. What can happen when you do it wrong!! You have a thriving website that looks a bit out dated, so decide it’s time for a change. You hire a web designer to create your new website. In the process of changing the site, you re-write much of your content, change your URL structures and page titles. Everything looks great, you’re delighted with your re-designed website. Your web designer completes the changes by replacing the old site with the re-designed version. Everything is fine for the first week, then you notice a gradual decline in the amount of traffic and sales coming from your website, as the weeks go by this becomes worse and worse. Your just hoping that one day it will all sort it’s self out, but that day never comes. Fast forward 6 months and your business has been ruined, and all because of a website re-design. So here’s what happened, the Google spider came to your old website and indexed your content over many years, this gave the content value and authority. Then you re-designed the site, this time around Google comes to your site and all that content it had applied value and authority to has gone, it might not be gone completely but the URL’s and page titles are now different, so from Google perspective this is new content with no value or authority. And content with no value or authority drops from the search results. This sort of thing happens all to often, and it’s so easy to do if you don’t know what you’re doing. But likewise it’s easy to avoid as well. How to re-design a website and not ruin your SEO. 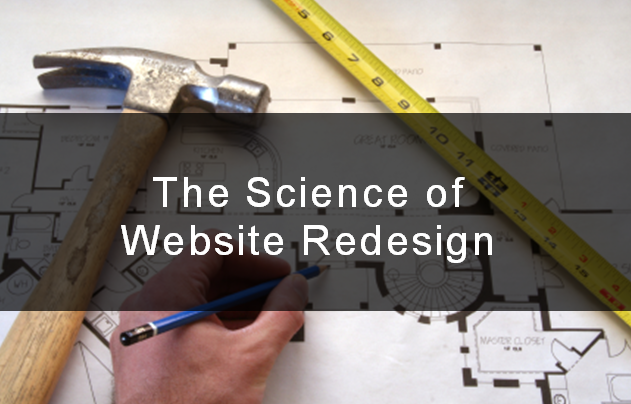 A website re-design is about changing the look of the site and not the content. You’ve seen what can happen when it’s done wrong. Before you start to make any changes make sure all parties involved in the re-design understand the consequences. If you have a web designer, developer and marketing team they all need to be working together to ensure a smooth transition. If your old website is lacking a SEO friendly design now would be a great time to re-structure your website. Don’t change your website domain name unless you have little or no traffic. Try to keep your URL structure the same if you site is already SEO friendly. If you old site uses ugly URLs with extensions, a re-design would be a good time to change these. Do your best to keep Headers, Titles, Content, Meta-Tags, Alt-Tags the same during the re-design. If you need to make any changes to these do it gradually after your website re-design is complete. And most importantly, if there are any URL changes you point the old URLs to the new ones using a 301 redirect. How to achieve this is explained below. Be prepared for some fluctuations in your rankings after the re-design, this should all settle down though, as long as you have followed the points above. Rather that try to explain how a 301-redirect works, here’s a great picture showing it in action. From www.elliance.com. Using a 301 redirect can vary depending on how your website handles URLs. If your URL structure has an address followed by a ?. you are using dynamic URLs otherwise your URLs will be static. In most cases 301 redirects will be done in your websites .htaccess file. If you don’t have a .htaccess file in your web directory you can create one using a text editor and name it .htaccess. Then upload it to the root of your website using your FTP client. When saving your new file make sure it’s not saved with the extension .txt at the end, the file should be .htaccess with no extension. If you find your .htaccess file you can edit it by using notepad or a similar text edit, don’t use Microsoft word though it will add hidden formatting to the file that will corrupt it. Lastly if your .htaccess file already has some code on it, do not delete it. Add any changes to the bottom of the file. above is the code you’ll have to add to your .htaccess if you have static URLs, let look at an example using this website, Vertus Digital. Just repeat this for each URL you need to redirect. Where you see id=7 in the example above you’ll have to change this to the query string found after the ? on the old URL you are trying to redirect. post.php is the name of the page you are you are redirecting from before the just before the ?. Make sure to add the ? after the new domain name. You can perform a 301 redirect in WordPress using the exact same methods detailed above. But if the thought of editing the .htaccess file and setting up an FTP client seem a bit daunting for you there’s another solution specific to WordPress. Redirection – is a WordPress plugin that creates all the 301 redirects, without you having to delve into the code of your website. Thats it for this post, I hope you’ve found something of value in it. I’d also love to hear anything you do to make a website re-design transition as smooth as possible, leave your ideas in the comments below. May I simply just say what a relief to find someone that actually understands what they’re discussing on the internet.